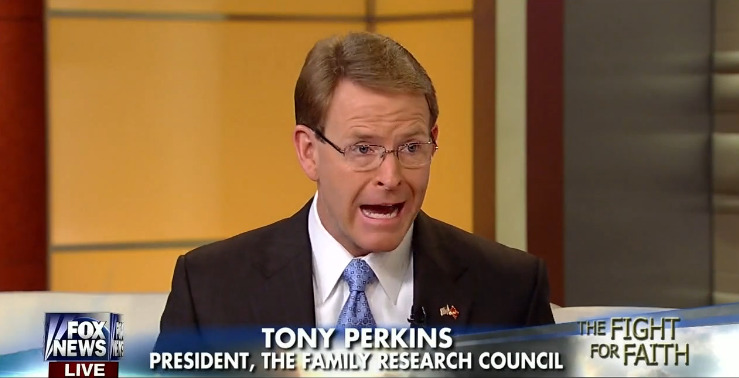 Tony Perkins, president of the anti-LGBTQ group Family Research Council, urged FRC Action members to join him in praying that God grants wisdom and protection to President Trump and to display a “PRAY FOR PRESIDENT TRUMP” bumper sticker on their vehicles so others do the same. 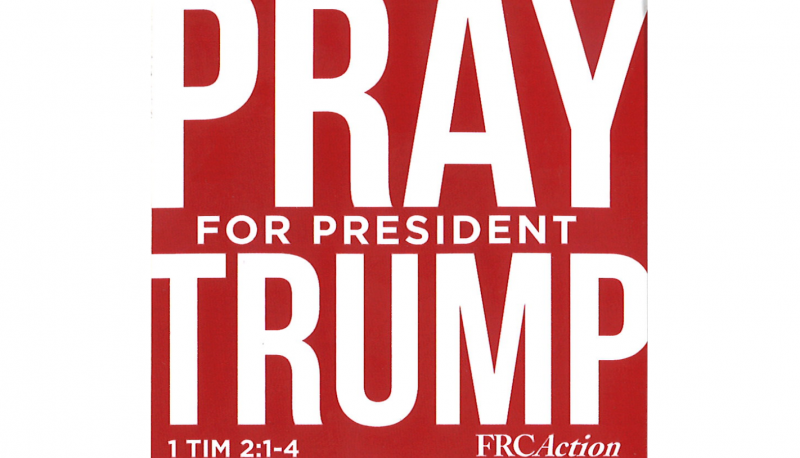 I’m not ashamed to say it: I PRAY FOR PRESIDENT TRUMP! I can tell you firsthand, Donald Trump needs and appreciates our prayers—for God’s wisdom and guidance, for His grace and protection, and for His will to be done and our nation blessed to the glory of God. As committed followers of Jesus Christ, we are directed to pray for the leaders God has placed in authority across our land. All Americans—especially God’s people—could probably use a gentle reminder in these troubled times. If PDF is not displaying, click here to view.